Though it might feel like a steeper hill to climb, running in your fifties is definitely possible. Maintaining a regular running program doesn’t have to be a casualty of age! In fact, running can be quite a boon to your well-being as you age. Start at the doctor’s office. The doctor will make recommendations about whether you are fit and healthy enough to run at all (and at what intensity). This information will help you design the right program for your age and fitness level. Turning fifty doesn’t mean you can’t run anymore, but it might mean that recovery times might increase. At the age of fifty, perhaps more than ever in your past, recovery time will become terribly important. Make sure to leave enough time for sleep and take adequate rest days between runs. Work on proper diet and sleep to maximize recovery. Running in and of itself asks a lot of our core strength, flexibility, and balance. Running in your fifties asks a bit more. Still, focusing on these areas can create a base that allows you to run longer and safer while limiting pain and injury. 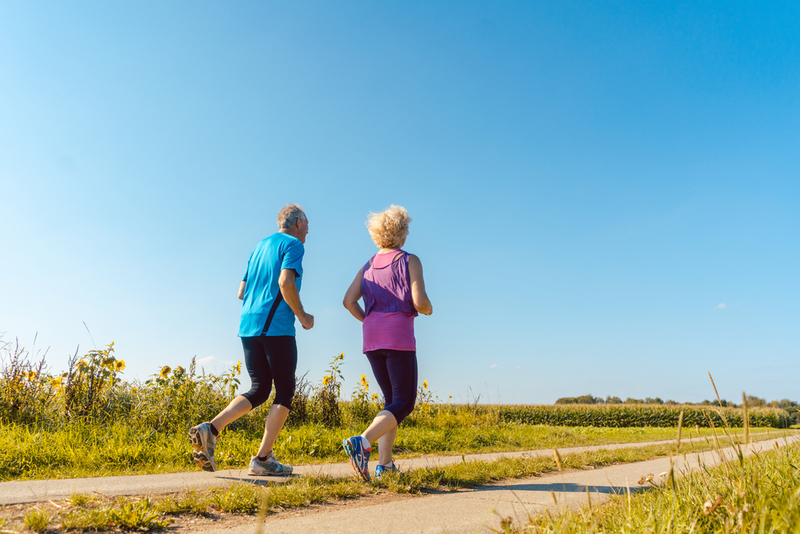 As we age, it takes longer to make improvements and reach new heights in our running programs. It’s important to resist the temptation to overdo it, as injuries from overuse or overexertion also take longer to recover from in our fifties and beyond. The more in tune we are with our adjusted timelines, the longer we’ll be able to sustain a healthy program over time. Running with other peers in your age group is a great way to calibrate your routine and stay within yourself. There are plenty of fifty-plus running groups in most cities. Take the leap and see how nice it is to run each week with people who share in and understand what it means to run in your fifties. Our final tip is all about outlook. Yes, it is true that we might lose some ability, conditioning, and capacity as we age. And it can be difficult to come to terms with what we feel like we’re capable of in our minds and what our bodies can actually do. Still, the sooner you embrace the “new you,” the quicker you’ll be able to adapt the right habits and approaches that make running in your fifties better than ever.